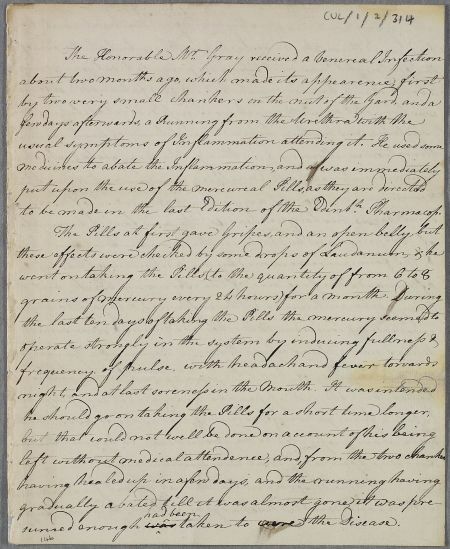 Unsigned and undated letter describing the case of 'the Honorable Mr. Gray', who has for the past two months been suffering from a venereal infection. 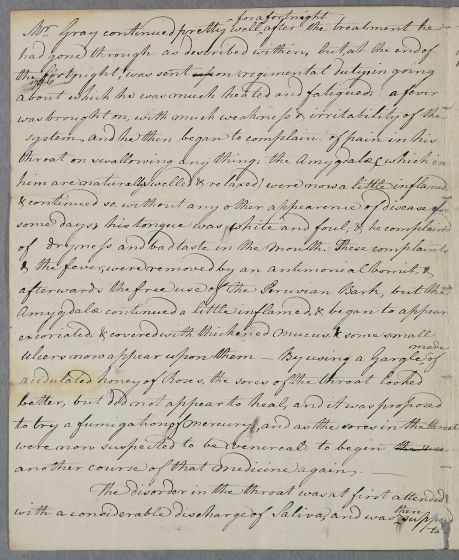 Originally catalogued as from 1775 (based purely on physical place in archive), but as this letter seems to be answered by Letter ID 4062, the conjectural date has been changed to May 1777. Probably written by Robert Wood (whose handwriting bears comparison and to whom Cullen appears to send the reply). Summary Unsigned and undated letter describing the case of 'the Honorable Mr. Gray', who has for the past two months been suffering from a venereal infection. 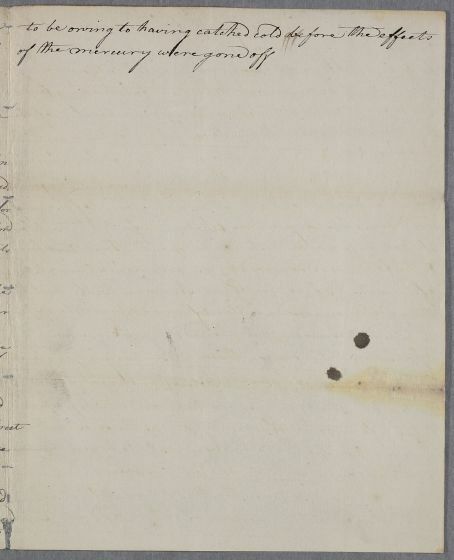 Originally catalogued as from 1775 (based purely on physical place in archive), but as this letter seems to be answered by Letter ID 4062, the conjectural date has been changed to May 1777. Probably written by Robert Wood (whose handwriting bears comparison and to whom Cullen appears to send the reply). Case of the Captain Gray who has a venereal infection. sumed enough was ↑ had been↑ taken to [clear?] the Disease. of the mercurywere gone off. 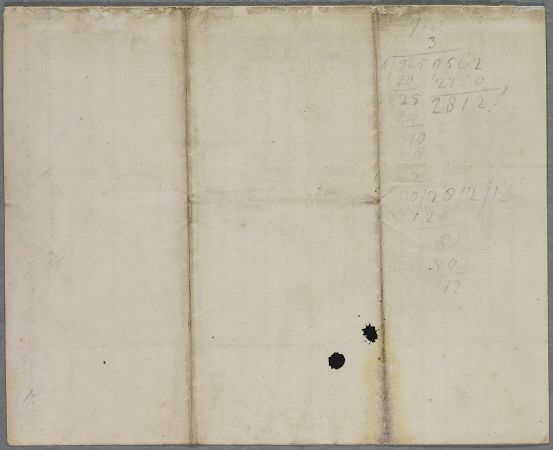 1: The significance of this table of numbers, probably added at a much later date, remain obscure. to be made in the last edition of the Edinbh Pharmacop.